"Hookah boom in Richardson causes concerns about underage smoking." That's the headline to a story in The Dallas Morning News by Ann Marie Shambaugh. Go read the story. Read it again. Does the story support the headline? After the jump, trying to find some fire beneath all the smoke. What's missing from the photo above? It's an aerial photo of Lijiang, Yunnan, China. 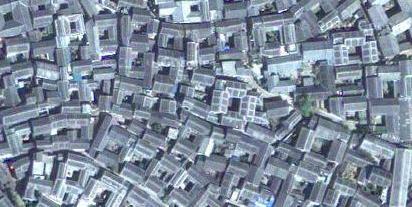 There are a lot of rooftops. A lot. But where are the streets? It turns out the streets are there. What's really missing are the cars. Eliminate the cars and the streets don't need to take up much space. They can be people-sized. The photo below shows what I mean. OK, maybe that's too much for most of us. After the jump, steps we can take, without needing to eliminate cars, to make urban settings more adapted to humans, not just their cars. I went to a garden party last weekend. Literally, a garden party. 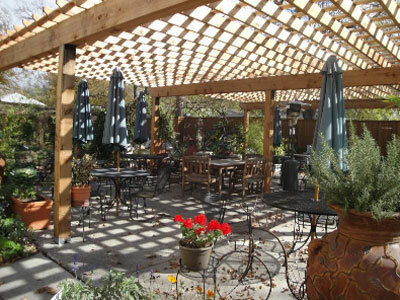 I had dinner on the patio of the vegetable garden of the Garden Cafe in East Dallas. What once was a rundown, dilapidated, decaying (you get the idea, right?) old shopping center is now a neighborhood gem serving breakfast, lunch and, by pre-arrangement, dinner, with meals of some of the freshest local produce around. After the jump, what's wrong with this picture? A three hour bus trip north of Dali, on a two-lane twisty mountain highway, was our last stop on spring break, the UNESCO world heritage site of Lijiang, Yunnan, China. The modern city of Lijiang has over a million residents, but the old city, where tourists congregate, is a delightful, walkable maze of narrow alleyways, canals and bridges. The Dongba culture of the Naxi people is on display, in pictographs and music, as well as embroidery and popular fare such as yak meat. Lijiang's latitude puts it somewhere south of Corpus Christi, but its 7,800 feet of elevation gives Lijiang a mild climate. The mountains are never far from sight. A classic image of Lijiang is of the Black Dragon Pool, with a temple and bridge in the foreground and the towering Jade Dragon Snow Mountain in the background. The mountain forms one side of the Tiger Leaping Gorge, a breathtaking narrow canyon with steep mountain sides through which flows the Jinsha River, the upper reaches of the Yangtze. It's a popular destination of backpackers. We took a shortcut -- a drive along a highway carved out of the side of the gorge to Tina's guest house in the middle gorge, then a three hour hike down and back up a ridiculously steep trail to the river. After three nights in Lijiang, we were up at 4:30 am to go to the Lijiang airport for a short flight to Kunming, followed by a longer flight back to Shanghai. The next day, we took the long flight to Chicago, followed by a connecting flight to DFW airport. Memories of our Yunnan vacation are as close as my cell phone, where I still have the "Tibetan Cafe" on my phone's list of Wi-Fi hotspots. I can look at the "Tibetan Cafe - out of range" indicator and sigh with warm memories. More photos from Lijiang after the jump. Yunnan province might be the most ethnically diverse in China. Dali is the ancient capital of the Bai kingdom. Its walled old city is the main tourist attraction and where we stayed. The old city is laid out in a neat grid pattern, of which the north-south pedestrian-only Fuxing Road contains the best shopping and the east-west pedestrian-only Huguo and Renmin Roads contain the most restaurants. We ate in the "Bad Monkey" and the "Tibetan Cafe," typical of the small, slightly seedy nature of the area, catering to young Westerners, including many backpackers who are attracted to Yunnan's hiking trails. The atmosphere is reminiscent of the old hippie culture, updated with ubiquitous Wi-Fi. By the way, China seems to block social networks like Twitter and Facebook altogether and even Gmail is hit or miss. Sometimes you can connect, sometimes you can't. About a mile from the old city are the Three Pagodas, a complex of Buddhist temples, the oldest of which dates back about twelve hundred years. The temples stretch up the mountainside, unveiling themselves one by one as you walk the complex. In a separate location there's a cable car you can ride halfway up the mountain to a trail and guest house. The cable car was closed the day we attempted it, so we can only imagine the views. More photos from Dali after the jump. Kunming is twelve hundred miles southwest of Shanghai. Its climate is ideal. It's on the same latitude as Miami, Florida, but with the elevation of Colorado Springs, Colorado. Kunming is one of the seemingly countless number of huge, sprawling cities in China. It has a population of 3 million (or 6 million, depending on how broadly you define the metropolitan area). If Americans know anything of Kunming, it might be from WWII history. Kunming was the base from which the Allies supported the efforts of Free China to resist the Japanese invasion. The main supply route was the Burma Road from Rangoon to Kunming, defended by American fighter squadrons known as the Flying Tigers. Kunming was the starting point for our vacation in Yunnan Province. We spent an afternoon in the city. We strolled the delightful Green Lake Park and ate on the street-side patio of one of the restaurants across from the park. The next morning we visited the main target of our stay in Kunming, the Stone Forest, a national scenic area about 75 miles away. Supposedly, there's an old saying, "If you have visited Kunming without seeing the Stone Forest, you have wasted your time." We didn't partake of enough of Kunming's other attractions to vouch for the truth of that, but our time in the Stone Forest was definitely not wasted. More photos from Kunming after the jump. Our spring break vacation began and ended in Shanghai. Last year we spent a couple of days there. But this year, Shanghai was only our jumping off point. We spent more time in the airport, taxis and subway trains than in the city itself. So, this first installment of our spring break trip report is a short one. We took the Shanghai Metro subway from our hotel out near Pudong airport to downtown. It took about an hour. It cost 5 yuan (about 75 cents) for a one-way fare. It was new, clean, fast, convenient. It was crowded, but not packed. It's the kind of system that America could use more of. More photos from Shanghai after the jump. Gandhi did not in the end command his followers to commit suicide, but in the light of the late-twentieth-century cults of Jim Jones at Jonestown, David Koresh at Waco and Marshall Applewhite at Rancho Santa Fe, Gandhi's exhortations have an uncomfortably modern ring." You would think there have been enough biographies of Mohandas "Mahatma" Gandhi published by now. You're probably right. The tip-off is right there in the title of this book. Any author who promises the "true" story of anything is pretty much admitting up front that there are already plenty of versions of this story already in print. This one is going to have a new angle to entice you to read yet another version. That quote above is over the top, and is extreme, even for this unconventional biography, but it uses the life of Gandhi to make the case that saint and madman are not necessarily mutually exclusive. "The Wheel" is temporarily at rest. While it is being rewound for another spin, enjoy one of the photos from our archives. Our mother performed in starlight. Whose innovation this was I never discovered. Probably it was Chief Bigtree's idea, and it was a good one -- to blank the follow spot and let a sharp moon cut across the sky, unchaperoned; to kill the microphone; to leave the stage lights' tin eyelids scrolled and give the tourists in the stands a chance to enjoy the darkness of our island; to encourage the whole stadium to gulp air along with Swamplandia! 's star performer, the world-famous alligator wrestler Hilola Bigtree." Swamplandia! is a tale about coming of age in one of those faded, family-owned roadside attractions from another era. 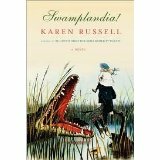 In this case, it's Swamplandia! and to get there requires a ferry ride through the Florida mangrove swamps to an island "thirty-odd miles off the grid of mainland lights." Two years ago, the Richardson Coalition, a political action committee formed to elect its preferred candidates to city council, created something called the "Real Heroes" award. Their voting procedure, requiring the public to submit their email addresses to the PAC, smacked of an email harvesting scheme. Many people were suspicious of the PAC's motives (and by many people, I mean me and by suspicious, I mean dead certain). I pointed it out at the time. A year later, the next cycle of voting showed no changes to the voting procedure. I again complained about it here. After the jump, how's it look in round three? Do you remember the opening scene in "The Sound of Music" where Julie Andrews runs through an alpine meadow singing the movie's theme song? Well, if Julie Andrews ever comes to Collin County to give a concert, it'll be the same story here. Only without the scenery. 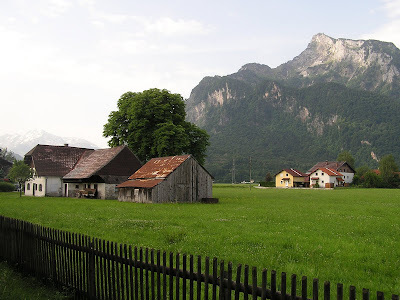 She'll have to find some open cotton field to sing in because there aren't any alpine meadows ... or first class concert halls. A long-troubled plan to build a performance hall in Collin County took one more step towards extinction this week. Originally called the "Arts of Collin County," it was troubled from the start, when voters in McKinney decided not to participate. Somewhere along the way, it was renamed the "Arts Center of North Texas." Then, last year, voters in Frisco voted to pull out, leaving only Plano and Allen. After the jump, this week's bad news. Two years ago, when Richardson launched its "Tree the Town" program with a goal of planting 50,000 trees in ten years, I was skeptical. There just isn't enough space in Richardson (28 square miles) for 50,000 more mature trees. I backed off a little when I learned that the goal included trees planted on private property by homeowners and business owners. But something else has happened since then that makes me rethink my skepticism even more. After the jump, the record-breaking drought. 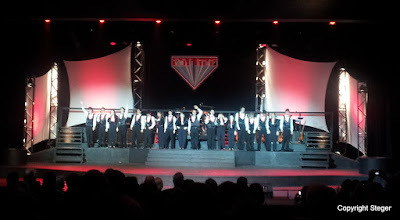 Espree at LHHS: Almost a century of popular music from rock to Disney. Great voices, infectious enthusiasm, fun evening. 2012 02 03 - Headline: "BIG upside surprise: Economy added 243,000 jobs in January. Unemployment down to 8.3 percent." GOP blames Obama. 2012 02 03 - Headline: "Trump backs Romney but do endorsements even matter?" Romney better hope the answer is no. Yesterday, I predicted that I would support George Clayton over Angie Chen Button in the GOP primary election for Texas House District 112. For reasons, I mentioned her membership on the DART audit committee in 2008 when DART surprised everyone, including the audit committee, with a $900 million budget shortfall that had been building for years. More importantly, I can't support her attitude towards school finance in particular and the state budget in general. She is a safe vote for underfunding schools, health care, roads, water, and other necessities of a modern state. Now, it's still early and Clayton still has plenty of time to lose my vote, too, but while I wait to hear from him, Button continues to rack up reasons for me not to support her. After the jump, Button on Voter ID. New Texas House district maps were published by the court this week. Maybe, finally, the redistricting fiasco handed Texans by the last Texas legislature is coming to a close. After the jump, what it means for Richardson.